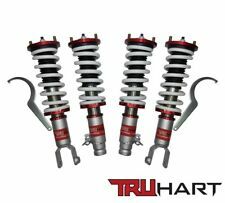 TRUHART AUTHENTIC COILOVERS. 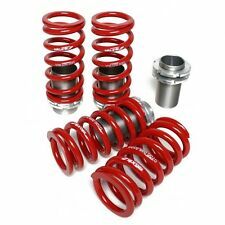 HEIGHT ADJUSTABLE NON DAMPENING COILOVERS. 1990-1993 ACURA INTEGRA. 1988-1991 HONDA CIVIC. - Height adjustable -.5 to -3.5” drop. - Zinc coated strut provides protection against corrosion. Manufacturer : TRUHART. Quantity : 4 Coilovers (2 front, 2 rear). Part Number : TH-H801-DR. Manufacturer : TRUHART. Quantity : 4 Coilovers with Spanner Wrench. Honda Civic 1988-1991 / Acura Integra 1990-1993. PHOTOS ARE GENERIC AND ARE USE AS SAMPLE PHOTOS. YOU WILL RECEIVE THE CORRECT ONES FOR YOUR VEHICLE. MANUFACTURER: EMUSA. 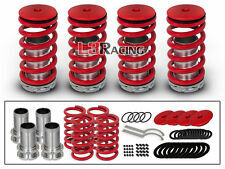 PRODUCT: HEIGHT ADJUSTABLE NON DAMPENING FULL COILOVERS. QUANTITY: 4 COILOVERS. 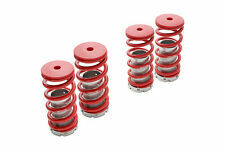 - BUDGET COILOVERS AT A FRACTION OF THE PRICE! - HEIGHT ADJUSTABLE NON DAMPENING. COLOR: BLUE. PART NUMBER: COS-HD8891N-BL. These damper kits are then perfectly matched with front and rear Pillow Ball upper mounts, including camber plates integrated with the upper Pillow Ball mounts on strut-type suspension applications. - 15 Levels of Adjustable Damper Strength. MANUFACTURER: EMUSA. 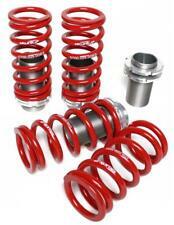 PRODUCT: HEIGHT ADJUSTABLE NON DAMPENING FULL COILOVERS. QUANTITY: 4 COILOVERS. - BUDGET COILOVERS AT A FRACTION OF THE PRICE! - HEIGHT ADJUSTABLE NON DAMPENING. COLOR: RED. PART NUMBER: COS-HD8891N-R.
4x TRUHART Sport Shocks. 4x Manzo Lowering Springs. 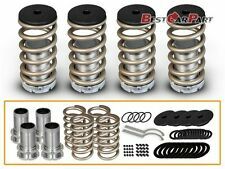 Complete Suspension Lowering Kit for 88-91 Honda Civic EF chassis. Application: 88-91 Honda Civic. Kit Includes Interior Accessories. 1988-1991 Honda Civic (EF9). These damper kits are then perfectly matched with front and rear Pillow Ball upper mounts, including camber plates integrated with the upper Pillow Ball mounts on strut-type suspension applications. Height adjustable -.5 to -3.5” drop. Interior Accessories. D2 RACING AUTHENTIC COILOVERS. 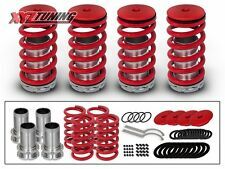 D2 RACING RS SERIES FULL COILOVER KIT. 1990-1993 ACURA INTEGRA. 36-way damping adjustable monotube shock assemblies. Serviceable in the USA. 1 Year Manufacturer’s Warranty. Yonaka Part # YMTC003. 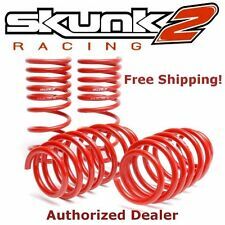 Yonaka Motorsports Spec 1 Full Coilover Shocks/Struts/Springs. Yonaka Motorsports is a grassroots performance part manufacturer since 2001, specializing mostly in Honda/Acura. This item is new in the box from the manufacturer, and has never been installed. 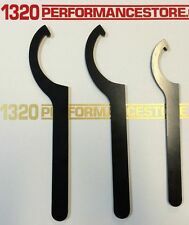 Application: 88-91 Honda Civic and CR-X (All) w/ REAR FORK Style Mount. - Mono-tube shock design. - Full height adjustability through the shock body (not spring). Rear Spring: 5kg. - Rear camber plates included on certain applications. 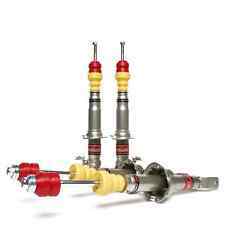 HONDA CIVIC EF 88-91 TYPE TWO Ride height adjustable separate of pre-load. Ride height adjustable seperate of pre-load. Adjustable Camber Plates when applicable. In achieving this, we wanted to make a stronger product to endure the imperfections of the real world. These damper kits are then perfectly matched with front and rear Pillow Ball upper mounts, including camber plates integrated with the upper Pillow Ball mounts on strut-type suspension applications. 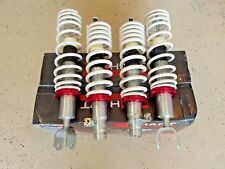 90-93 Acura Integra DA Chassis (All). 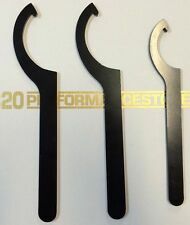 Application: 88-91 Honda Civic and CR-X (All) w/ REAR FORK Style Mount. Rear Spring: 5kg. - Rear camber plates included on certain applications. - Front camber plates are included on all applicable kits.